Throughout the Cold War, policy-makers in the United States and its allies crafted strategy with one principal audience in mind: the Warsaw Pact, particularly the Soviet Union. This new book project by Dr. Simon Miles tests whether the strategic concepts that guided US and NATO policy actually operated on their targets east of the Iron Curtain in the way that practitioners and scholars claimed. Taking an international archival approach, it rejects the trope of Moscow as puppet-master and treats the Warsaw Pact as a multilateral military and political organization designed to provide collective security in the nuclear age, shedding new light on Cold War history and strategic issues today. 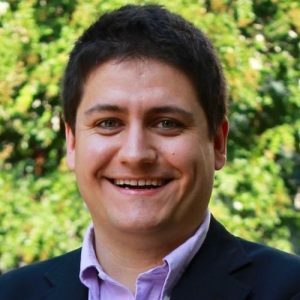 Simon Miles is an assistant professor in the Sanford School of Public Policy at Duke University. He is a diplomatic historian who uses international archival research, particularly in the former Eastern bloc, to shed new light on the history of the Cold War. Lunch and Learn is an interactive lecture series highlighting current research by CSEEES faculty affiliates and other scholars in the Triangle. The lectures are open to all interested faculty, students, staff, and community members. Lunch is provided per timely registration.